On behalf of admin of JML Law, A Professional Law Corporation posted in Car Accident on Saturday, Sep 30 2017. Car accident fatalities in Los Angeles are outpacing national trends in the United States. This fact alone must ring alarm bells for all Angelenos getting behind the wheel to drive to work and home every day. Last year, a staggering 260 people died in car accidents in Los Angeles, a sharp increase of almost 43% over the previous year. The vast majority of car accidents in LA and all across the U.S. are caused by human error. While most car crashes are minor and require you only to repair the bumper, a car accident can cost you your life if you drive in an unsafe manner and don’t follow all traffic rules. Heck, even those who drive carefully and follow all traffic laws can get into a serious car accident due to the negligence of thousands of other drivers who share the same roads with you every day. Just think about, every day you’re putting your life at risk, as it’s impossible to get thousands of other drivers to be 100% attentive and careful behind the wheel to ensure your safe drive home. Sounds scary? I bet it does! Here’s the deal: unfortunately, you cannot force millions of other drivers to start driving responsibly (what you can do, however, is hire a Los Angeles car accident attorney to get compensated for your damages in case any of these drivers smash their car into yours). Many drivers tend to get distracted while driving (it may a beautiful woman crossing the road while eating ice cream, or a text message that can distract you while driving). Contrary to the popular belief, it’s not drunk driving or speeding that accounts for the vast majority of car accidents in the U.S. It’s distracted driving that is the number one cause of car accidents in Los Angeles and our country as a whole. Well, many things can happen. It may even cost you your life. Proving that the other party was speeding and caused a car accident can be quite difficult. That’s why hiring a car accident attorney is highly recommended to collect solid evidence and maximize your compensation from the ‘speeders’. Driving under the influence of alcohol hinders your ability to focus and function properly. These two factors make it impossible to drive a car responsibly and carefully. Always have a friend or relative you could call to pick you up and drive you home safely if you go out to drink. Changing lanes too quickly, speeding just to outrace some fancy car and running red lights is considered aggressive/reckless driving. For your own safety, it’s best to stay away from aggressive drivers whenever you spot them. And thankfully, those wackos are quite easy to spot. Weather conditions such as rain and snow as well as icy roads is also a common cause of car accidents in Los Angeles. Operating a vehicle becomes more difficult when there’s water, ice or snow on the road, especially while braking. That’s why the importance of following all traffic laws as well as avoiding speeding and reckless driving increases dramatically if weather starts messing with the road. If you got into a car accident and the other party won’t admit his/her fault, contact a car accident attorney immediately. Choosing the right strategy against non-cooperative drivers and sneaky insurance companies is your only chance to obtain the maximum compensation for all your damages. 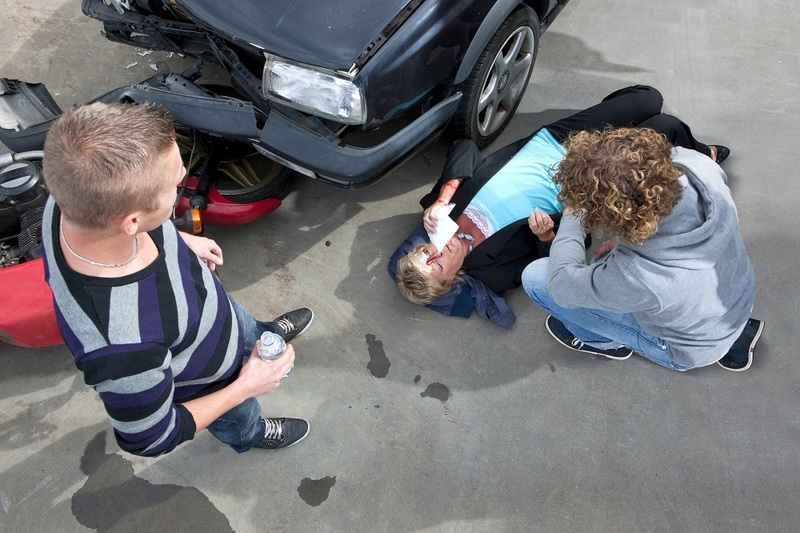 Contact JML Law at 818-610-8800 to get the best strategy and handle a car accident in your best interests.